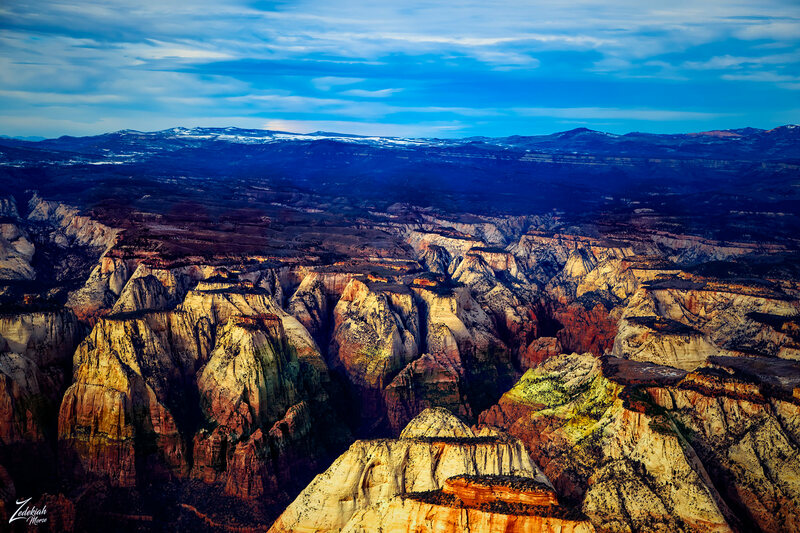 This is a very unique image of Zion National Park from above, in the immediate foreground are The Sentinal, Bee Hive and Meridian Tower. In the background lay Church Mesa, This Bishopric, Abraham Peak, Isaac Peak, Jacob Peak, Mountain of the Sun, Mt. Moroni, Mt. Zion, the Three Patriarchs and Castle Dome. The long trench looking valley going vertically up the center of this image is called the Phantom Valley. In the distance, you can see the Kolob Terrace along with Langston Mountain, Hornet Point, Little Mountain, Hogs Heaven and Cogswell Point. 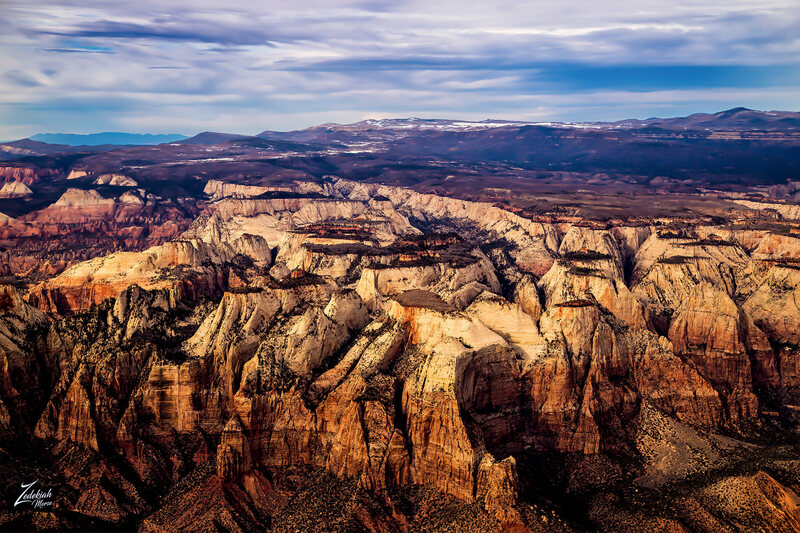 Zion National Park is an amazing place from the ground and is even more incredible from the air.